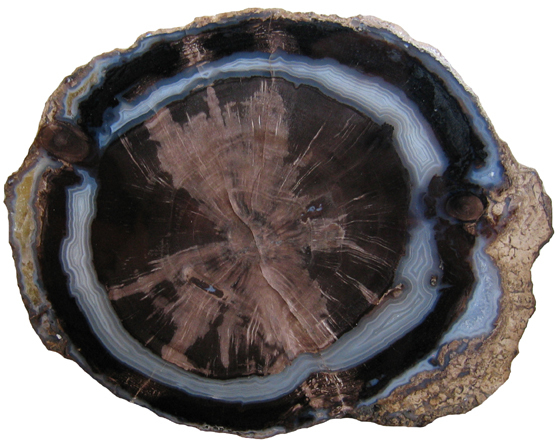 Blue agate has filled in the area between the woody stem and bark of this Schinoxylon specimen from the Blue Forest of Wyoming. The vascular cambium would have been positioned between the bark and wood. Phloem tissue makes up the inner bark and distributes the products of photosynthesis from the leaves throughout the rest of the living plant. The remaining bark is made of non-functional phloem and protective periderm tissue. When deer eat the nutritious bark all the way around a tree it eventually dies because food-conducting tissue (phloem) has been removed. This break in the phloem pathway to the roots is lethal to the tree. 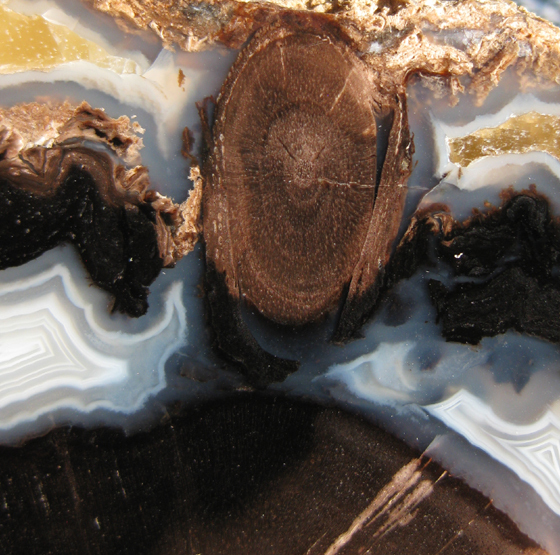 Bark is relatively rare in petrified wood specimens because it can be easily removed from erosion (transport of stems) and decays quickly. 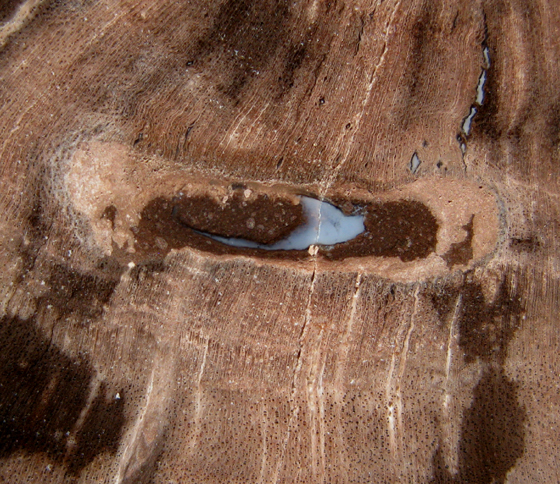 Two branches can be seen within the ring of bark. 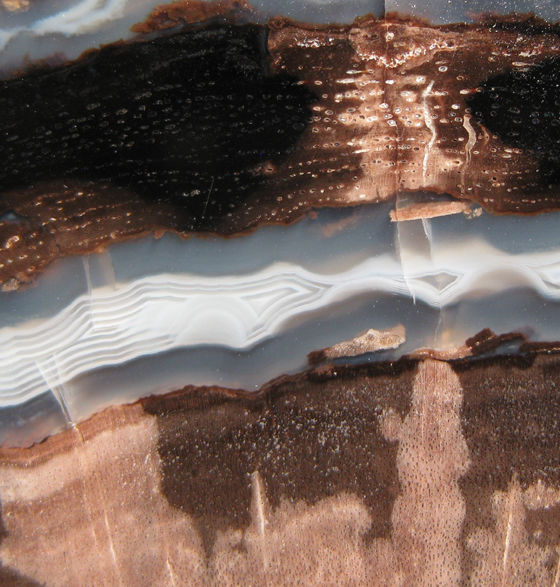 In the image above one can compare the structure of the preserved wood and bark tissues. An insect gallery can be seen in the image below. Below, a side branch with preserved bark can be seen within the bark of the larger stem.